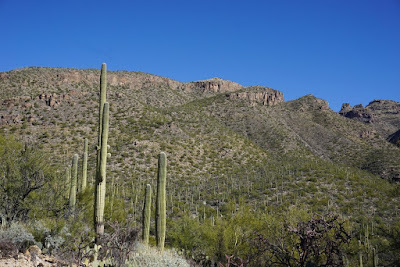 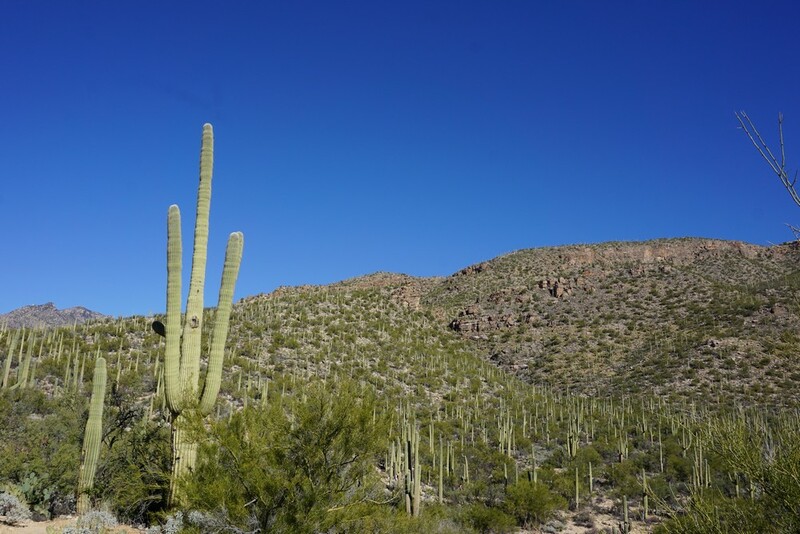 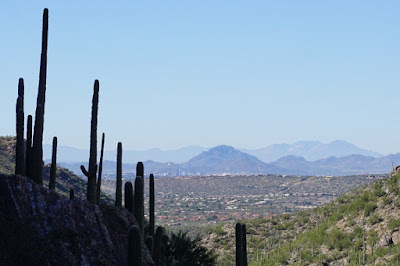 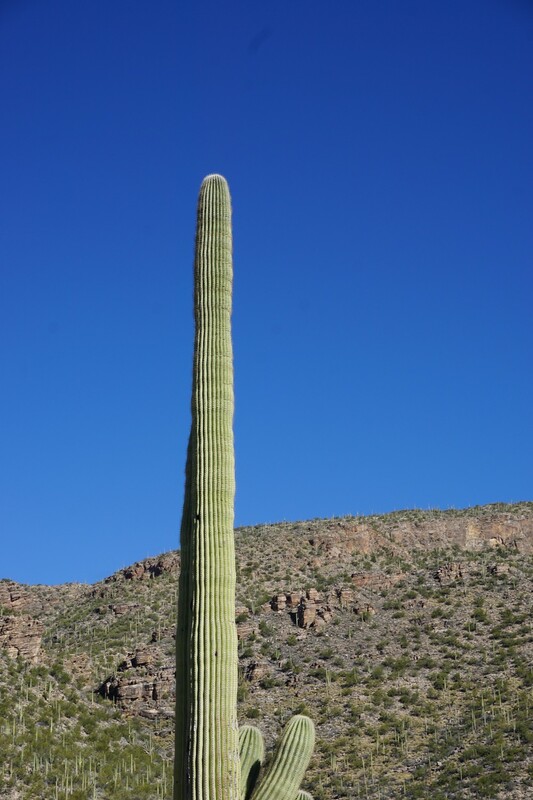 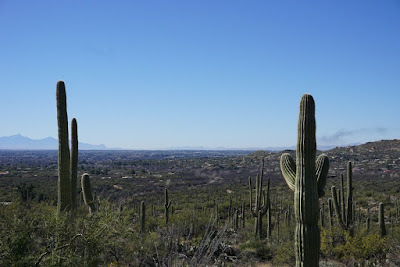 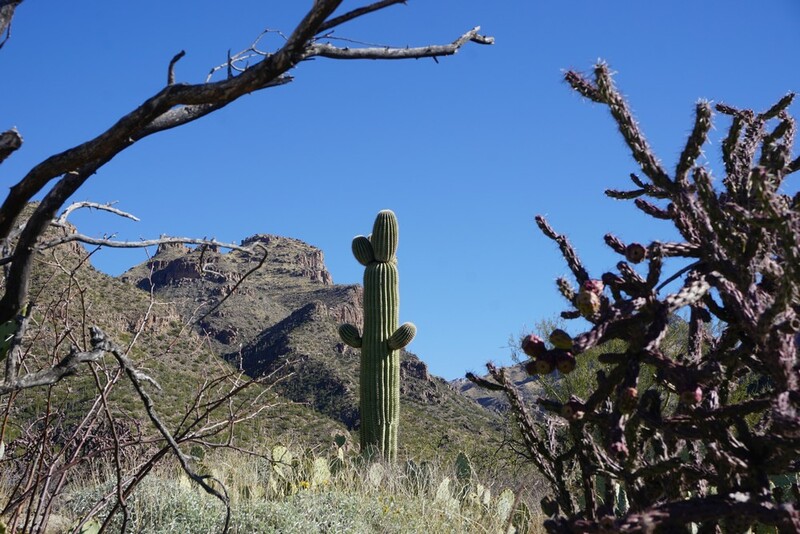 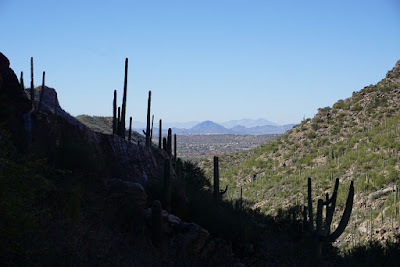 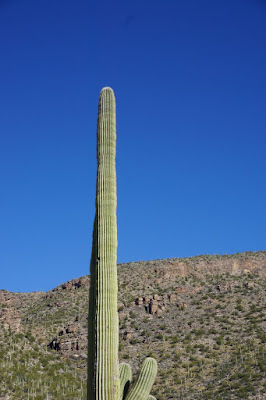 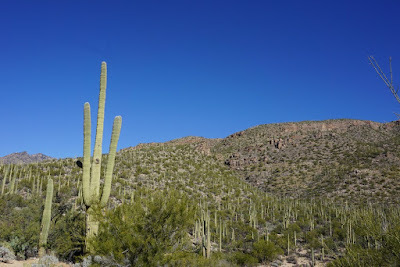 I was in Tucson experiencing gorgeous February weather in the mid 70's to low 80's with a bright blue, cloudless sky. 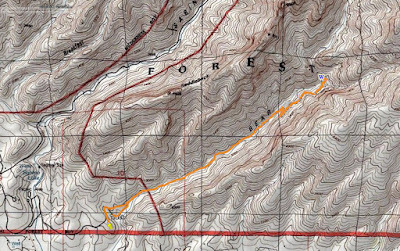 This was one of the hikes I had in mind to do on my trip, and although my timing was very tight, I managed to make this hike in record time. 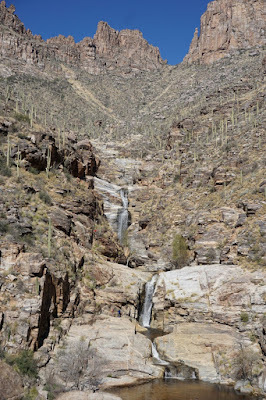 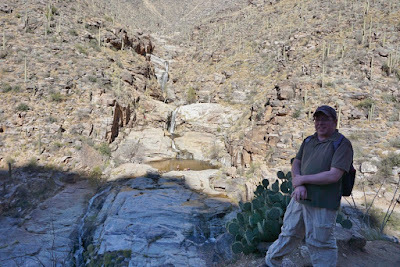 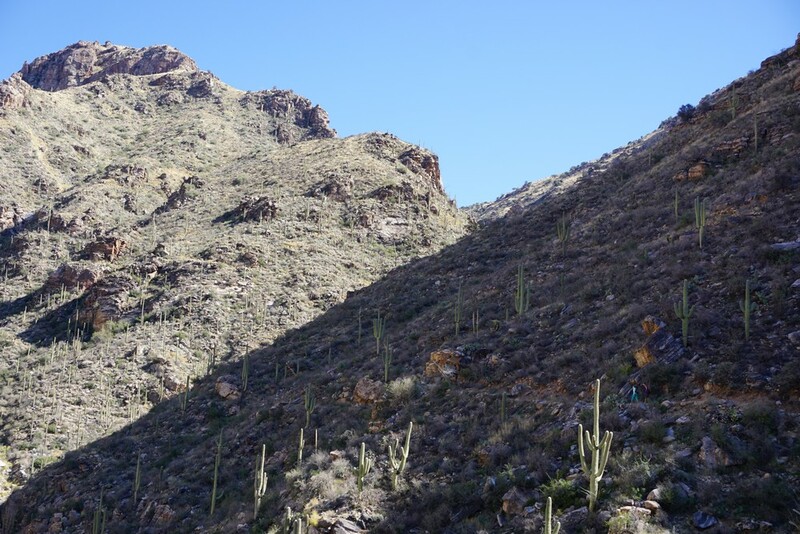 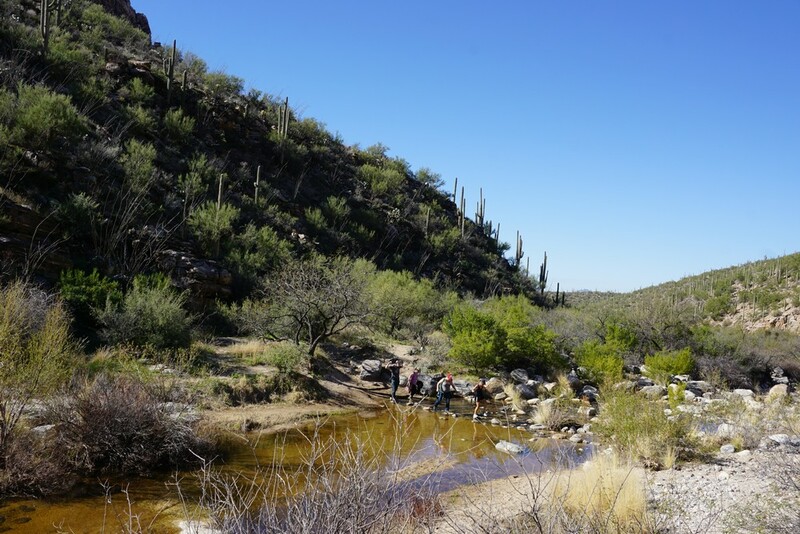 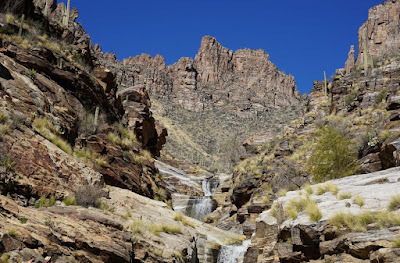 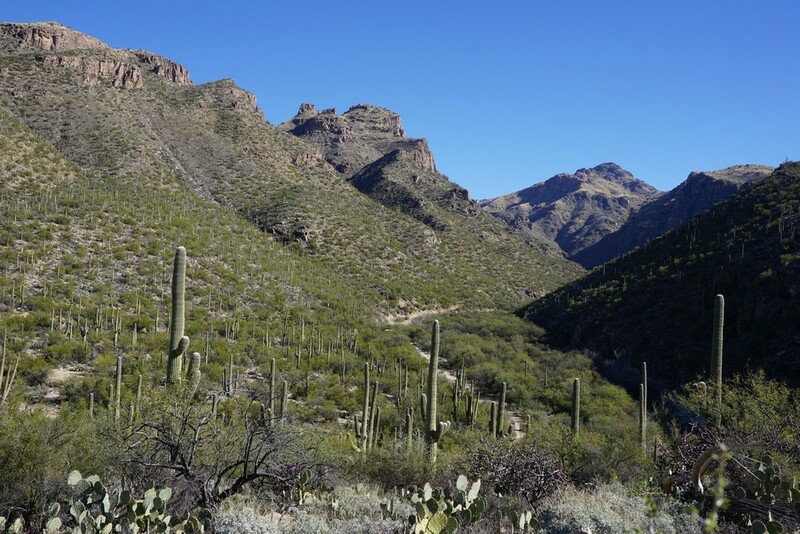 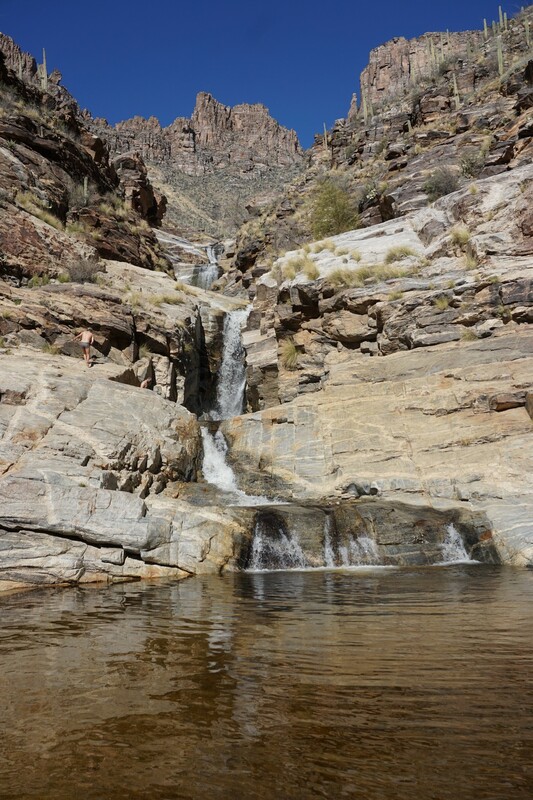 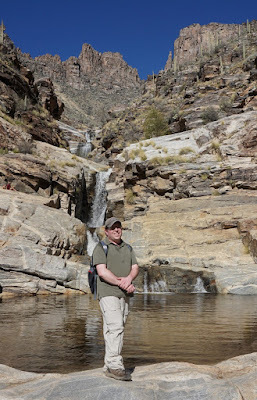 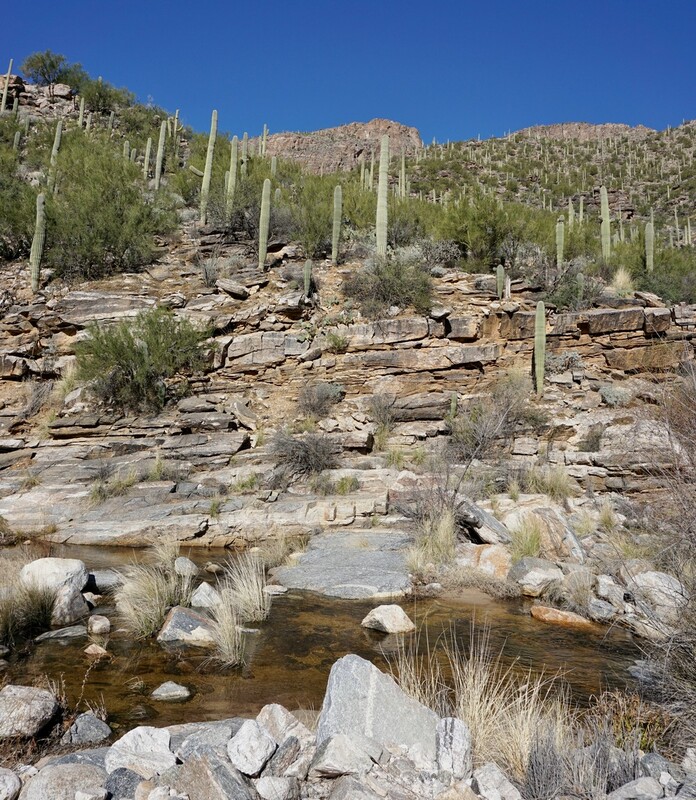 This is a great hike with very scenic desert and mountain scenery, following a flowing stream and amazing waterfalls at the end of the hike. 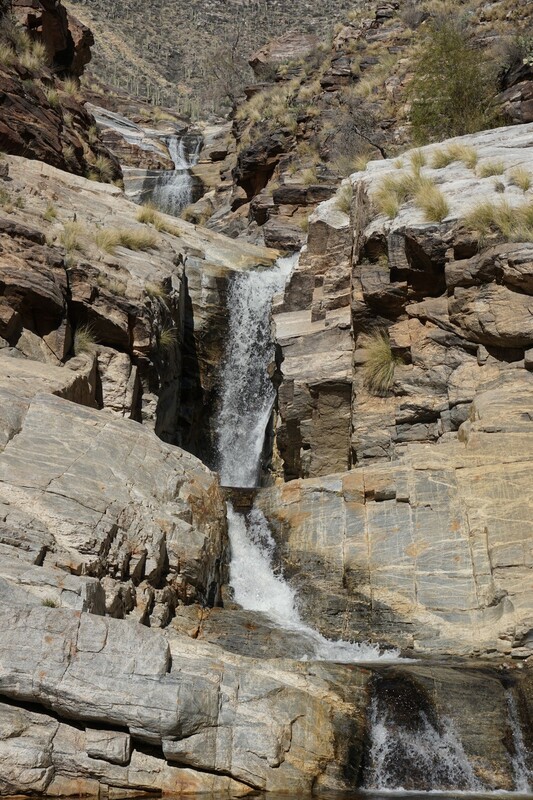 Although the stream can dry up during dry spells, it was flowing very strongly this time around. The hike is mostly exposed unless you go early in the morning in later in the afternoon. If you are doing this hike, make sure to protect your skin with sunblock. I parked at the Sabino Canyon parking lot, which is a very large parking area. 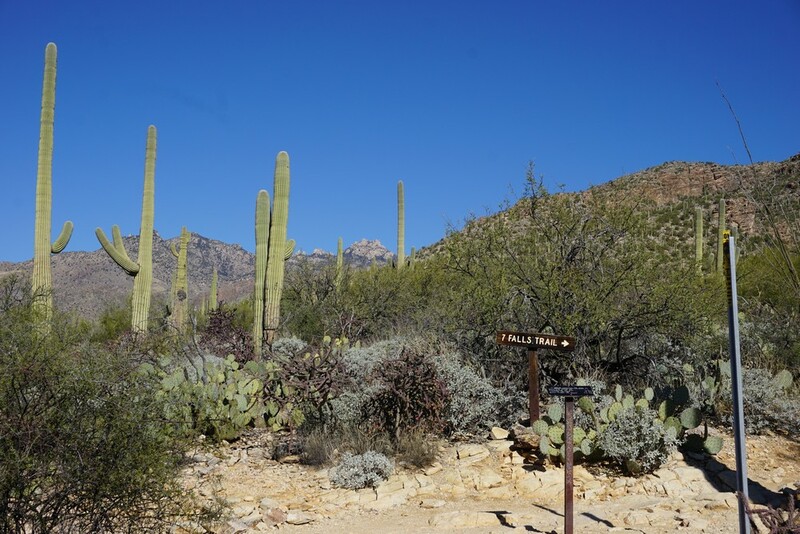 Most people here are tourists walking or taking the tram into Sabino Canyon. 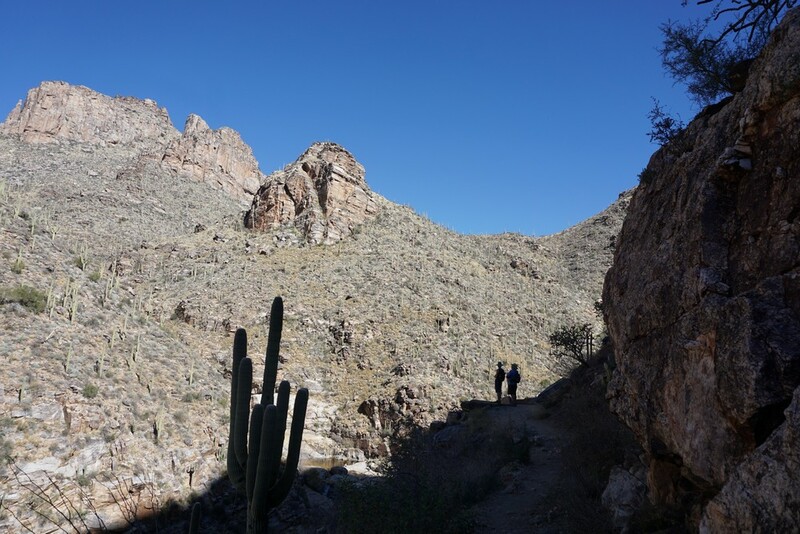 Bear Canyon is the next canyon over, and is equally as beautiful, and it lacks the crowds. 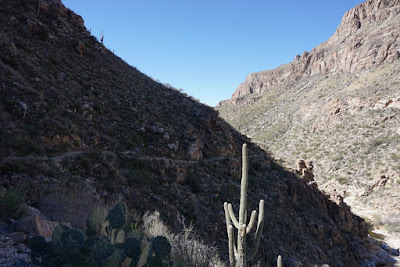 There is a tram that takes you to about a mile and half to the trailhead. 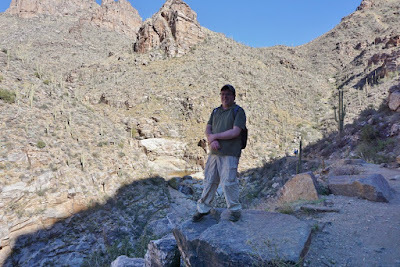 I took the tram and started the hike from the trailhead. 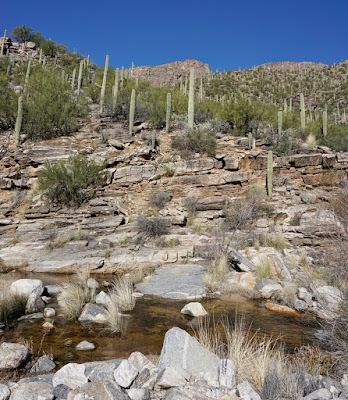 Out in Arizona it seems the trails aren't blazed with colored markings, but there are cairns and trail indicators and certain tricky areas and intersections. I did manange to lose the trail two times but found it soon after. I took the Bear Canyon Trail northeast through the canyon as it ascending a slightly under two miles to the waterfalls. 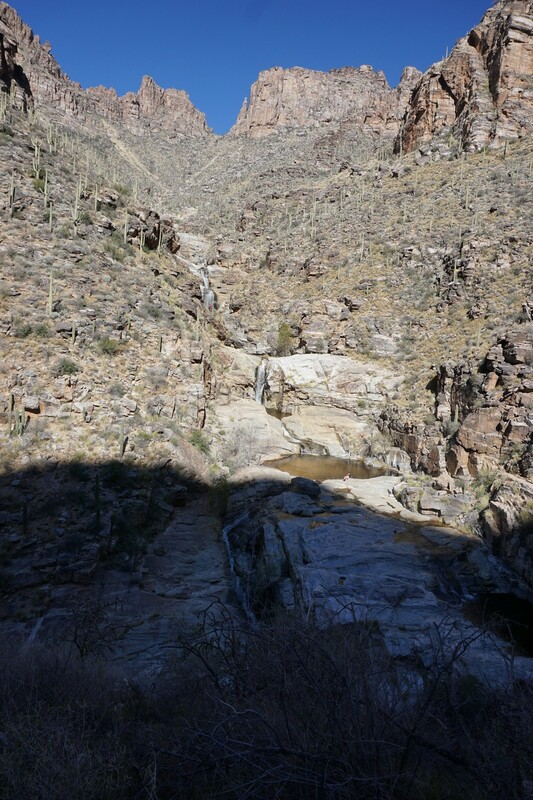 The waterfalls are tiered in multiple levels, hence the name Seven Falls. 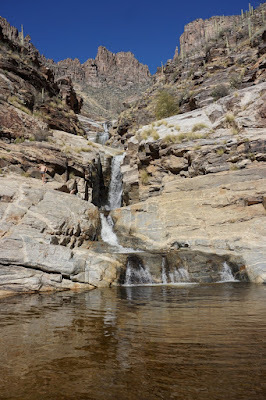 The Bear Canyon Trail continues deeper into the mountain range, but the waterfall spur trail takes you the base of the falls by a small pond where there may be people swimming. Once I reached the waterfalls, I turned around and went back along the same trail. I ran back down very fast attempting to make the next shuttle bus. Luckily when I got there, the shuttle bus was there and was about the leave.